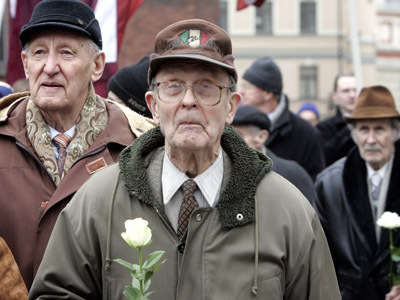 MPs & Nazi Waffen SS veterans marched through Latvia’s capital Riga accompanied by about 700 supporters and ‘All for Latvia’ political party members in a controversial annual ‘memorial’ procession commemorating the country’s Nazi allegiances. 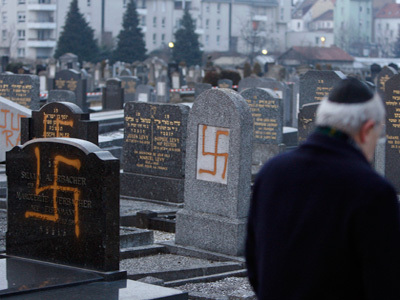 ­The procession was attended by about 1,500 veterans of the Waffen SS division, their supporters and members of parliament from the ‘All for Latvia’ Party, who marched from the Cathedral to the center of Riga. 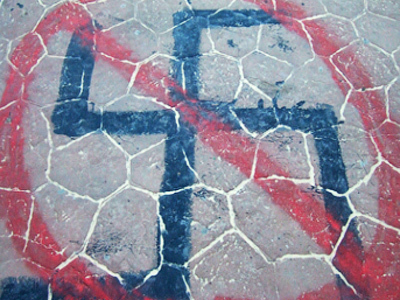 Unlike in previous years, the procession was a relatively peaceful affair with only three people arrested for displaying Nazi and Soviet symbols. Anti-Nazi demonstrators also gathered to put flowers at the feet of the city’s Freedom monument in silence, with activists wearing striped prison overalls with war photos hanging around their necks. An 1,000-strong police force drafted in by the local authorities lined the streets to keep the peace. 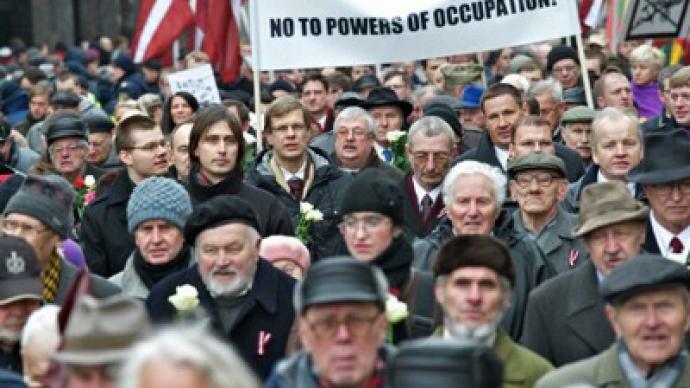 The march takes place on March 16 every year, and traditionally begins with a remembrance service in Riga’s cathedral. The Latvian legion of the Waffen SS consisted of almost 150,000 Latvians and was split into two divisions. 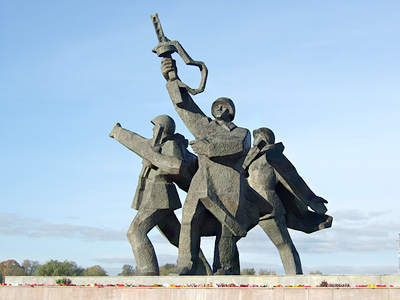 It was among the last of Nazi Germany’s forces to surrender in 1945. Vice Speaker for the Latvian Parliament Andrey Klementyev called the procession a “disgrace for Latvia,” saying it saddened him that MPs had attended the event. Seven processions had originally been scheduled for Friday, but were cancelled by municipal authorities citing possible threats to public safety. The march had previously been banned by municipal authorities, but the ruling was reversed on Tuesday by a Latvian court.